Fascism, 1919-2019: can history repeat itself? In the years between the two world wars a fledgling radical ideology that we today call ‘fascism’ grew from a tiny fringe crowd of devotees in bizarre uniforms and unruly street formations into a dominant international political force that challenged ‘mainstream’ values and violently reversed decades of progressive change - often with substantial elite complicity and popular support. In March, this ‘fascism’ turns 100. 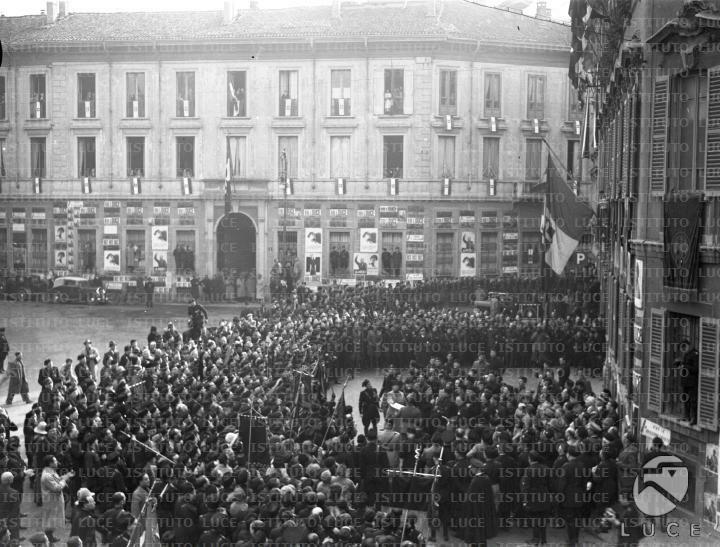 From its unremarkable founding meeting in a small square of Milan in 1919 to its spectacular diffusion and political success in the 1930s and near-victory in World War II, to a crushing defeat in 1945 and a marginal existence for decades after World War II, fascism’s first centennial has been a fascinating rollercoaster. But strangely, more than seventy years after the supposed liberal triumph against it, the ghosts of ‘fascism’ are rumoured to be back. Can history then repeat itself and is it actually re-running a distressing version of what happened in the 1930s? This talk will examine why and how fascism moved from the extremist fringes to the mainstream in the interwar years and spread in large parts of Europe, destroying liberal institutions, reversing fledgling experiments with democratisation and group rights, before plunging the world into a devastating all-out conflict that left behind human loss and material devastation on a scale never experienced before. It will then assess the relevance of this sombre historical precedent for a contemporary world steeped in the illusion that it had once and for all overcome ‘fascism’ and tamed the devastating forces that it unleashed in the 1930s. History may be far more complex and unpredictable than Groundhog Day; but contrary to what postwar and contemporary societies may have believed with misplaced complacency, there is no ‘end of history’; in fact, history contains no final, irreversible victories - or defeats. Aristotle Kallis teaches at the History Department of Keele University (UK) from 2016. Before, he taught at the Universities of Edinburgh, Bristol and Lancaster. His fields of expertise are: fascism and totalitarianism; modern propaganda; violence, genocide and terrorism; urban studies; German and Italian history/politics, Greek interwar history, modern and contemporary 'political religions'. His latest books are Rethinking fascism and dictatorship in Europe (with António Costa Pinto) and The third Rome, 1922-1943: the making of the fascist capital.